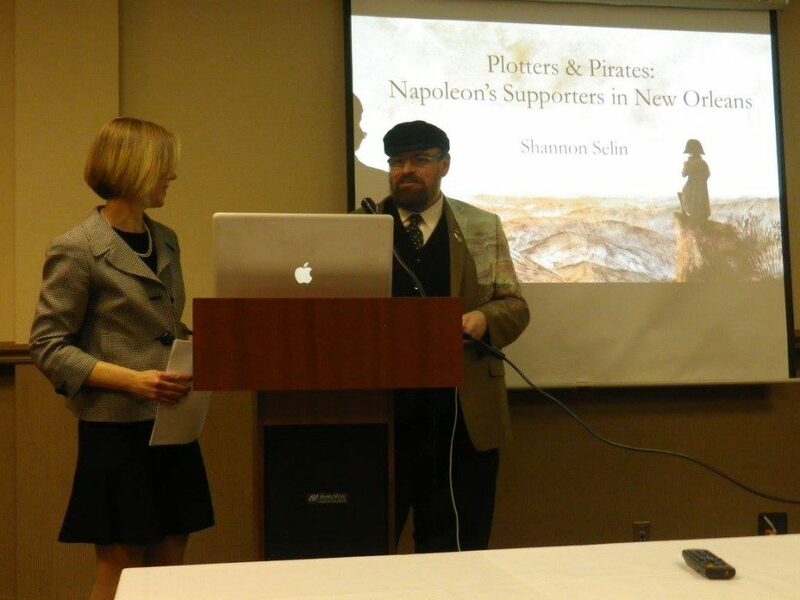 On November 15 Shannon spoke about “Plotters & Pirates: Napoleon’s supporters in New Orleans” at the Napoleonic Historical Society conference in New Orleans. She talked about several of the characters she has blogged about, including Charles Lallemand, Antoine Rigaud and Jean Laffite, as well as some she will be blogging about in future, such as Jean Humbert. 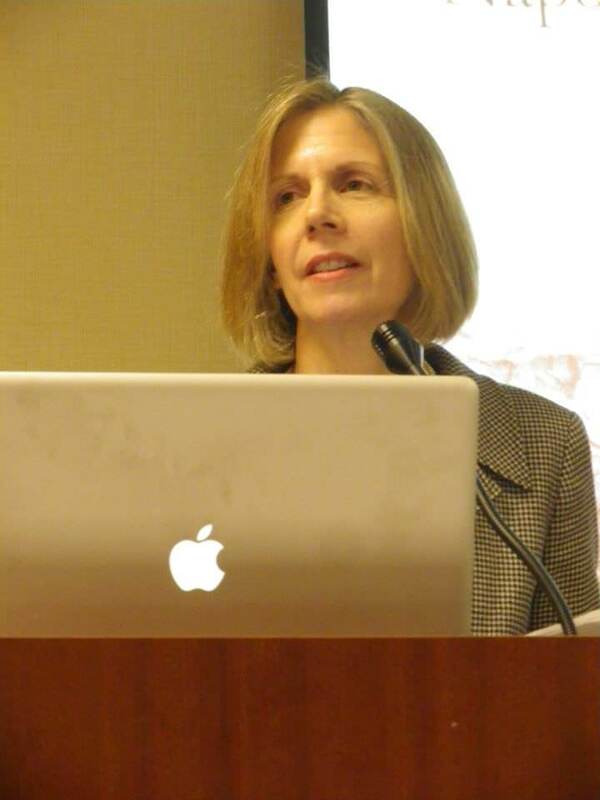 Other conference speakers included Ron Chapman (The Battle of New Orleans), Sharon Worley (Love Letters during the Napoleonic Wars), William Colligan (James Monroe and Those who Would Do or Undo the Louisiana Purchase), J.P. Miquel (Napoleon as CEO), Todd Fisher (The Battle of Ulm), and Alix Sundquist (In Search of Josephine: A Personal Journey). Highlights included a gala dinner featuring Tim Pickles as the Duke of Wellington, and a trip to the Chalmette battlefield, where the main engagement of the Battle of New Orleans took place on January 8, 1815. The purpose of the Napoleonic Historical Society is to study, share and stimulate interest in the history of the Napoleonic period. Members’ interests run from the general to the specific, and cover all aspects of the age: art, politics, society, fashion, science, war, personalities and, of course, Napoleon. If you have an interest in the period, consider joining this welcoming, lively group. You don’t have to be an expert, and you’ll be among friends. For details, visit the Napoleonic Historical Society website and check out the group’s Facebook page. The 2015 conference will be in Toronto.